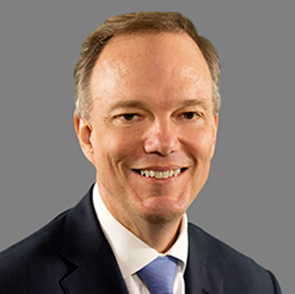 Paul Decker has led Mathematica Policy Research since 2007 and is currently their President and Chief Executive Officer. A nationally recognized education and labor researcher, Paul serves as chairperson of the CEO Connection Government Relations Committee. Decker is a leading figure in policy research who writes and speaks on trends in the field, including the emergence of Big Data and its impact on public program evaluation and management. During his time at Mathematica, Paul has expanded and diversified the company’s operations and strengthened its commitment to improving public well-being by developing rigorous, objective research to help policymakers make informed decisions. Decker joined Mathematica in 1988 and has devoted his career to the company. Since he assumed the role of president and CEO, Mathematica has grown to include seven locations nationwide and more than 1,200 employees. 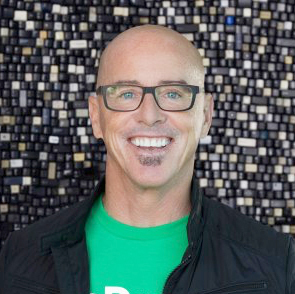 Blake Irving is the CEO and Board Director of GoDaddy, the world’s largest platform for small business. Under Mr. Irving’s direction, the company has sharpened its focus on helping the world’s 200 million small, independent ventures to grow and thrive online—tapping a global-scale machine learning platform that powers their digital presence, communications, marketing, commerce, back-office administration and peer/community support. Prior to GoDaddy, Mr. Irving was EVP and Chief Product Officer at Yahoo!, a role in which he grew active users from 550 million to nearly one billion users—positioning Yahoo! to repass Google and Facebook as the world’s most popular online destination. Before Yahoo!, Mr. Irving spent 15 years at Microsoft in various senior roles, most recently as head of the Windows Live Platform where he was responsible for research, development and operations of Microsoft’s global cloud services. While at Microsoft, Mr. Irving created and grew MSN Messenger into the world’s most successful instant messaging platform with more than 70% global share, re-architected and grew Hotmail to 270 million users worldwide, and deployed their first billion dollar advertising system, adExpert. Mr. Irving is a graduate of San Diego State University and received an MBA degree from Pepperdine University, where he later served as a professor of business in the same graduate school. He is an avid cyclist, surfer and golfer—and currently resides in San Luis Obispo, CA. with his wife and two sons. Mr. Ayyar, a distinguished leader in the IT services industry, joined Mphasis as its CEO and Executive Director in January 2009. 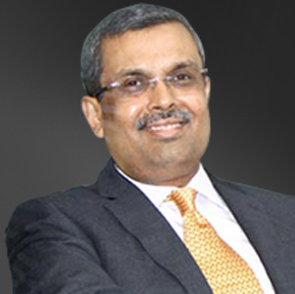 He has been instrumental in leading Mphasis to the Billion Dollar Revenue Club. Mphasis was recognized by Outlook Money as the ‘Best Value Creator’ among Large Caps that year. In June 2013, Ayyar was recognized for his work and conferred as the “thought leader” by stars of the industry. Ayyar was awarded the Viewer’s Choice Award at the 10th CNBC Asia Business Leader Awards 2011. He was selected for this prestigious award by CNBC’s viewers in the Asia Pacific region. Ayyar is focused on transforming Mphasis to be a global company with industry vertical focus. As part of this transformation, Mphasis has effected four strategic acquisitions – AIGSS (AIG’s IT captive in India), Fortify (a company focused on Infrastructure services and platforms), Wyde Corporation (an IP lead software vendor serving the Global Insurance Industry), and most recently Digital Risk (largest independent provider of Risk, Compliance and Transaction Management solutions for US residential mortgages), fully based out of the US. The market viewed this acquisition as innovative and with foresight. Mr. Ayyar is acknowledged for creating an employee friendly environment. He promotes an open door culture that put great focus on employees and transparent communications. His laser focus on grooming front line managers to be future leaders won him the “India Talent Management” award at the CNBC TV18 India Business Leader Awards in 2011. A firm believer of contributing to the society, Mr. Ayyar has championed several corporate social responsibility causes especially the employment of people with disabilities at the workplace. Today over 400 people with disabilities have been employed by Mphasis. With his executive sponsorship, the company has won several awards for its inclusion policy. Mr. Ayyar won the 2010 NDTV Profit Business Leadership Award in the category of Diversity and Inclusion. He received the award from Hon’ble Finance Minister of India Sri Pranab Mukerjee. Brian Thomas attended Western Michigan University, where he received an undergraduate degree in marketing and manufacturing engineering technology. He began his professional career at Forkardt, Inc. in Portage, Mich. and later became an account executive manager for Honda Manufacturing at global automotive giant Magna International. Thomas left Michigan in 1999 to pursue a teaching certification from Colorado State University in secondary education and biology. He taught high school classes in Loveland, Colo. before joining OtterBox in 2003. At that time, OtterBox was a $2 million niche business providing waterproof boxes and cases for PDAs. The product line also included Cigar Caddy—travel humidors for cigar aficionados. As the company grew, so did Thomas’ role in directing company strategy. He was promoted to director of sales and marketing, then chief operating officer, president, and finally into his current role as CEO. In his role as CEO, Thomas is responsible for leading global expansion efforts and is the chief visionary in positioning OtterBox as an innovation technology company primed to extend product offerings outside the premium protective case industry. During his tenure, OtterBox has been on the Inc. 500 “Fastest Growing Companies” list six consecutive years, named “Great Places to Work in America” twice by Forbes and Entrepreneur magazine, and “America’s Most Promising Companies” by Fortune. Thomas himself was named one of the “Top 100 CEOs of the Mid-market Elite” by Chief Executive Magazine. OtterBox has now grown to a $1 billion dollar company with more than 1,000 employees worldwide. John A. Meyer is Chief Executive Officer of Arise Virtual Solutions Inc., the leading virtual solutions company in the world. John joined the company in 2011 to drive the organization’s growth, set the strategic vision and manage the global operations of the business. 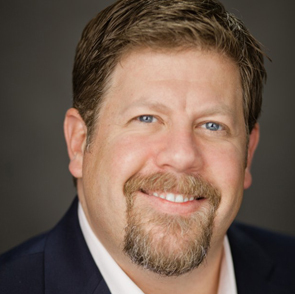 John has over 30 years of leadership experience with large publicly traded organizations, and building high growth organizations in both the United States and internationally. 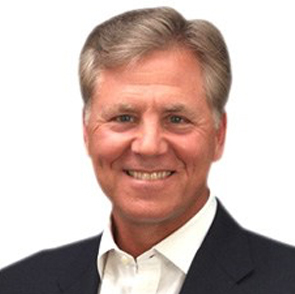 Prior to joining Arise in 2011, John served as Chief Executive Officer and President of Acxiom Corporation, a $1.2 billion global interactive marketing services company with more than 6,500 employees. Previously, he served as President of the Global Services group of Alcatel-Lucent for five years, where he was responsible for more than $6 billion in annual revenue and the management of more than 20,000 people. 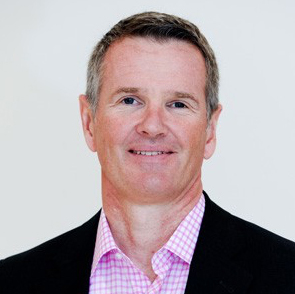 Prior to joining Lucent, he spent almost 20 years in a number of high-profile positions at EDS, including Chairman of the Europe, Middle East and Africa (EMEA) Operating Team, President of Financial Services and Credit Services Divisions, and CIO for the company’s GMAC business. John’s global, multi-industry experience at EDS was marked by numerous successes, including doubling revenue in EMEA from $3.6 billion to $7.2 billion in four years.